Some have said that the gifts of the Holy Spirit operating in the Church are designed to express the body of Christ, while the leaders (the Ephesian 4:11-13 ministry, the apostles, etc.) are to reveal the headship of Christ! I have heard some declare that so-called modern day apostles uniquely possess and function in all of the Eph. 4:11-13 ministries! What allegedly makes an “apostle” an “apostle” is possession of all the other gifts! The teaching analogy used is “apostles” are like the thumb of the hand. Only the thumb can easily touch the other four fingers. So it is in the church, allegedly. Prophets, evangelists, pastors, and teachers are like the fingers, and apostles function like the thumb being superior in ability and function. Therefore the four “less than” fingers are designed by God to submit to the superior thumb: apostles. I wish I was making this up. I am not. I wish this was rare and isolated. It is not. I have sat on platforms in seminars next to so-called apostles as more than one has used this analogy. “Sister Sue was killed in a car accident because she ignored the advice of her spiritual covering.” (John Bevere closes his book, Under Cover, with a story to this effect–shameful fear mongering). As we have shown in earlier sections, this is not about looking out for each others welfare in a spirit of mutuality, consent, and freedom. It is not about obtaining sound wisdom and counsel from trusted advisors who have proven their love for us in in laid down lives of service in relationship. That is kingdom basic. The problem is requiring submission to a mediatorial individual (with whom I may have zero functional relationship in a hierarchy) merely because he or she has a position/rank or an alleged “apostolic” ministry, and accompanying the mandate with threats (veiled or otherwise) for failure to do so. This is all just a grab for power and status as old as the garden. It sure is not “new” or “restored” “revelation.” It is simply a control spirit pyramid scheme dressed in clerical garb. Copyright 2016, Dr. Stephen R. Crosby, www.swordofthekingdom.com. Permission is granted to copy, forward, or distribute this article for non-commercial use only, as long as this copyright byline, in totality, is maintained in all duplications, copies, and link references. For reprint permission for any commercial use, in any form of media, please contact stephrcrosby@gmail.com. [i] Alley, The Apostolic Revelation. pp. 39, 83, 134, 135, and 157. I have noticed a commonality among some called apostles. They consider themselves to be gifted in a “revelatory way.” Often, they are exegetically weak. They tend to teach from their inspirations about Scripture rather than the exegesis of Scripture, relying on proof texts here and there to supplement what they believe they have received by “revelation.” In the case of Bro. Alley’s book, though certainly not limited to him, it is especially true. Throughout the book, he regularly teaches from his dreams, visions, and subjective impressions of the Lord’s voice. This is the curse of charismaticdom, a formula for disaster and a completely unsound basis for apostolic doctrine. Dreams and visions are meant for personal encouragement and edification and, at times, guidance, but they are not the basis for apostolic doctrine, nor to be the basis to conform other’s kingdom behaviors, thinking, etc. I am really grieved on this matter. Every group or organization that has started on this road has ended up in the historical ash heap, without exception. [iii] Kelly, John. Words from a Father. The Networker (April 1997), p.3. ; quoted in Wagner, Churchquake. [iv] Bevere, Under Cover. p.89. [v] David, Jonathan. Apostolic Strategies Affecting Nations. Malaysia. Privately Published. 1997, pp. 209-210. [viii] Bevere, Under Cover, p. 227. [xiv] Stephen G. Allen, unpublished message. [xv] Rumble, Apostolic and Prophetic Foundations. p. 83. I’m so glad you are speaking out against this dangerous heresy. I’ve been doing so for some time. This is such a serious deviation from the truth set out in the NT that one would think it would be obvious that it is error. However, when we start putting the Bible through our theological lens instead of our theology thought a biblical lens, we can get ourselves in all sorts of trouble. Thanks again Stephen for speaking out. I have a question. If I have the gift of prophecy, should I go in the middle of the service when I believe I have received a word from the Lord and go to the pastor and tell him what that word? It seems to hinder the flow and true essence and anointing. I am in a quandary right now about this. Recently I received a word in the midst of the service and gave it but one member said he didn’t receive it. So I talked to the pastor who is new and he told me come to him first and he would talk to the board about it before releasing it. I want to walk in humility but at the same time walk in truth. Can you give me some clarity and wisdom on this? Is this issue similar to what you are writing about ? Some of this sounds like a protestant version of Catholic Apostolic Succession. Some of it sounds like a twisted mulit-level marketing scam. Either way it does such harm to the body of Christ, needlessly keeping so many brothers and sisters in the dark as to their capacity to receive from Christ directly in their spirit and to function in the body and in life through the divine life of Jesus in them. New, modern spiritual discovery is so called “apostolic covering” – slightly based on another modern term “spiritual fatherhood”. It claims that every pastor should have spiritual father, who – de facto – controls pastor’s ministry. Actually it is very difficult to find in the New Testament something about spiritual “covering”, however it became the doctrine of the contemporary apostolic movements. 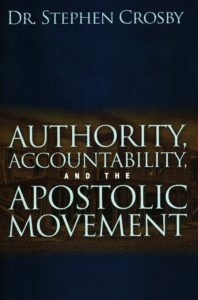 The founder of the New Apostolic Reformation, Charles Peter Wagner said that “the apostles bring spiritual government (my emphasis) to the pastors of the city so that the pastors of the city can do the job that God has given them in a much more effective way”. What he actually says is that the pastors should be under apostolic covering; it means, they are not enough educated by the Holy Spirit (and the Bible Schools) how to minister on their position and generally, without apostles, pastors are not enough effective. According to Wagner and pleads of his followers-“apostles”, they claim to oversee pastors of the local congregations and through them all church members. 1. Cor. 4:15: “for though you have countless guides in Christ, you do not have many fathers. For I became your father in Christ Jesus through the gospel”. Sounds very controversial, isn’t it? I have learned in my long-time studies that we have sometimes “controversial” statements in the Bible. Nevertheless, the principle is that there are no real controversies, because God, the Author of His Word, couldn’t oppose Himself. It means that the solution should be found in putting both statements together, studying them in their historical-literate context and ask Holy Spirit for His light! If we will not see the light in such problem, we must accept it and hope that someone else will get it (or maybe already got it). However, there is the challenge. So, here we have two verses, Mt. 23:9 “contra” 1. Cor. 4:15. What is the context of both? In Mt. 23 Jesus is really angry with all this religious theatre. He “thunders” against religious façade, show-business – and uses very hard words against people practising this. I would conclude here, that such people had/have no right to use the title “father”; how abusers and cheaters could be called “fathers”, when they are not?! They were practising control over people – and that is not the real fatherhood character. Jesus was/is against title-mania! Now: 1. Cor. 4:15. Here we have very different context. Paul has planted the church in Corinth and became – by preaching the Gospel – real spiritual father to them. In a similar case, in Thessalonica, he said that he was “like a father” – picture talk. His fatherhood and care for believers in Corinth (and other places) based on the fact (not title) of bringing these local groups to Jesus. Abusers (in Mt. 23) claimed to be titled “father” (even they were not), but Paul was real, spiritual father of the church in Corinth (as well in Thessalonica and Galatian churches). The historical and factual introduction we should confront now with the Bible! As stated before, the key biblical term, which grew to such doctrinal monster, was the false and twisted understanding of the “spiritual fatherhood” or “apostolic covering” . Who was whose spiritual father? Firstly, we must note that in the scriptures referring to “fatherhood”, the word “father” occurs only three times (1. Thess. 2:11, 1. Cor. 4 :15 and Philemon 1:10); in all other scriptures we have the term “child/children” (which speaks indirectly about fatherhood). Wouldn’t be more proper to speak about “childhood” instead of “fatherhood”? Yes, John felt himself like the father of his readers; but still, his main purpose was not to “cover” them, or rule over them, but to share testimony (1:3), proclaim the message (1:5) and expect joy in return (1:4). Paul was the spiritual father of the churches in Galatia , Thessalonica and Corinth . He wrote to them like a father, because it was he, who established/planted these churches! We can conclude without any risk, that the members of those churches were led to the Lord directly by Paul. What’s more, Paul’s spiritual children where not the people from other churches. He didn’t call himself “father” in relation to any other New Testament churches. When apostle or other minister plants a church as the fruit of his ministry, he becomes the spiritual father to them. Let us notice that we are dealing all time with the picture talk; Jesus was also using picture talk. He said that He is “the Shepherd”, “the Vine”, “the Bread” and so on, but He was not real shepherd (had no sheep), was obviously not the vine or the bread. Back to Paul. He was also specifically spiritual father to the individuals: Timothy , Titus and Onesimus . Why he calls himself “father”? It is interesting with Timothy. His grandmother and mother were “believers” (1. Tim. 1:5). The question is, when Paul became spiritual father to Timothy. Most probably it was during his and Barnabas’ first apostolic journey (Acts 14:20-21). The same was with the Grecian Titus. He was not only Paul’s “true child”, but also “brother” (2. Cor. 2:13), “partner and fellow worker” (2. Cor. 8:23). It means that firstly Titus was the “true child”, and later, when he grew up spiritually, he was already Paul’s partner. About Onesimus it is clear: he was spiritually born in prison. In all these scriptures we cannot find anything what the contemporary “apostles” emphasize! Nothing about “apostolic covering”. Just opposite. Apostles (and prophets) had/have no controlling or governing rang in the Church, Body of Christ. Bible teaches us very clearly that all believers have the same position though different functions. The key-apostle Peter had to give report (referring his ministry to Cornelius) to the other “apostles and the brothers” (Acts 11:1). 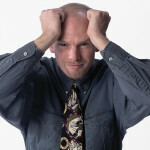 Paul wrote about fivefold ministry (Eph. 4:11) not to elevate apostles over others. Surely the apostles’ ministry was of high responsibility, but it doesn’t mean that they where “covering” the rest of the Body. The Head of the Body was, is and will be only Jesus, and only He is in control. And spiritual father is the one, who is as God’s tool in leading someone (or group) to the Lord. Many (but not all!) Christians have one spiritual father (it is not possible to have more fathers!) in such visible/allegorical meaning. Spiritual father could be called only someone, who lead unbeliever(s) to the Lord – so biblical, logical, simply and beautiful it is. And it was never reserved for apostles! There are also many, who have no spiritual father, because they had intimate and personal encounter with God. No one led/assisted apostle Paul: his spiritual father was Jesus self, revealed to him near Damascus. No one led me to Jesus, when I was spiritually conceived. It means, there are Christians who have spiritual father, and there are Christians who have not spiritual father. However, it hasn’t any doctrinal impact on the fact of becoming and being the child of God (John 1:12 ). Otherwise we are/could be the spiritual fathers/mothers in such visible/allegorical meaning to other people. Jesus wants, that we will be “fishing” other people into His boat. Andrew was spiritual father to Peter (he brought him to Jesus), Peter was spiritual father to thousands (even he never called himself “father”), John, Paul … they were spiritual fathers. Reader of this essay could/should be too! In conclusion: pseudo-doctrine about “apostolic covering” is not biblical. It is a human teaching , which seems to be positive, but in reality its goal is to rule (govern) over churches and people, and it is derogation from the autonomy of the local congregations. Ultimately, it is God-Jesus-Holy Spirit, who is the real Spiritual Father! Thank you Stan! Unfortunately this erroneous teaching has infiltrated many churches I think- at least many if not all of the “full gospel” and it has penetrated some of the Nazarene church too. Unfortunately, all the people I know in the body of Christ choose this doctrine, and they will not receive the truth, as far as I know. We just left a “full gospel” Nazarene church after almost five years of pouring our lives into it, because of the unwillingness of the Pastor to receive truth, and his continued decision to keep someone in leadership that has been involved in occultic activities the entire time, while leading the youth. Too much to go into, and it’s grievous to me to see how much of the world is in the church, along with this man made teaching also. I appreciate your concise and biblical clarification of this. Sadly, even the church calls evil good, and good evil:-(. Thank you Steve for addressing my question even though it was outside of the topic, I really appreciate your answer and wisdom and receive it! Excellent blog. We have run into this crappy teaching more than a few times; in fact, it is a good thing that the Lord had us leave a couple of ministries, as we may have become trapped in them! Thank You & God Bless. First, there is no group that self-identifies as the NAR. Thus they have no ‘strongly held beliefs’ because there is no they. The teaching about covering definitely deserves critique. The issue of abuse of power definitely needs exposure. However, the NAR has become the waste basket for careless critiquing. Every time I read a denunciation of the NAR I find that it is as easy to identify as finding Sasquatch. For history on the new apostolic reformation all you have to do is read the writings of C Peter Wagner Churchquake and New Reformation and The New Apostolic Churches … Wagner was noting trends not expounding an actual group. Those churches were as disparate as the original reformation. I appreciate the critique just not the opening errant caricature. Alan, Would you prefer ICA to NAR? ICA is a group, whereas NAR is as you say, not an “entity” but an appellation applied to those who share many of the similar beliefs and practices, but that does not mean they are organizationally monolithic. NAR is a broad term and as accurate as the term “Protestant.” Disparate, yes, but with common identifying threads. I spent 20+ years in various iterations of those disparate groups and they do share common beliefs, as do many Protestants, so your objection seems pedantic to me. BTW, I have read Churchquake and the other Wagner titles. In fact, when it first came out several years ago, CPW, reviewed the book this excerpt is from and responded positively. Thanks for the response. I am seeing the NAR used as a broad brushed condemnation brimming with inaccuracies that ultimately do matter. Doug Geivett’s work comes to mind. I participate in groups that are branded with this moniker and none of us practice the critiqued abuse of power. In fact we are relentlessly opposite in our insistence upon personal freedom. I heartily agree with your assault on this aberrant doctrine. I understand Alan. I had to deal with the same phenomenon when I was in those climates. People assumed because of association, that I concurred with these things, rather than realizing that I was an unwelcome voice of dissent in those environments. Peace and blessings to you also. I totally agree that many of the church’s are unlearned about the roles and responsibilities of a true 5 Fold Ministry. We have become lovers of people and not of the one and true GOD! Church people overall are not been taught nor have many so call pastor’s taken the time to study God’s Word and pray for a true heart to LEAD! ITS ABOUT WORHSHIP ME in many circles. Its about ME,ME,ME,ME! I use to ask GOD in my earlier days in the church, LORD why will judgement start in your HOUSE? It’s WHERE YOUR PEOPLE ARE! Well, it wasn’t long before I got my anwswer “MY PEOPLE PERISH FOR A LACK OF KNOWLEDGE”! In other words many are JUST not being taught and those that are do not have an ear to ear……Many of those that are being taught TEND to have no problem violating God’s Word! They have allow the enemy to curse them with a seared conscious, as having a prayer life is NOT OF any IMPORTANCE. OUR failing to have a PRAYER LIFE has caused our EYES to become blinded. We have entered into the begining of the tribulation period! Where MEN/WOMEN have become lovers of themselves more than lovers of GOD. We have found ourselves blind to the truth and believing a LIE and rejecting THE LEADING OF THE HOLY SPIRIT! We have NO PRAYER LIFE because we just don’t have time! WAKE UP ZION! WAKE UP! The CHURCH IS SUPPOSE TO BE THE LIGHT OF THE WORLD! YET WE R SITTING ON THE HILL BUT NO ONE CAN SEE OUR LIGHT AS WE BECOME MORE LIKE THE WORLD! NO ONE HAS TIME TO PRAY, NO ONE WANTS TO WIN SOULS! BESIDE IT DOESN’T TAKE ALL OF THAT! LORD HAVE MERCY ON US ALL!!! THIS IS MY OPINION AND I HAVE A RIGHT TO IT ESPECIALLY WHEN IT HOLD TRUTH!!!! LORD HELP ME AND TRULY HELP US ALL! IN JESUS HOLY NAME!!!!! I.E. My statement is not a reference of ALL CHURHCES in the WORLD.IT’s a REFERENCE OF MOST! HE THAT HAS AN EAR TO HEAR LET HIM HEAR! IF U HAVE SPIRITUAL EYE TAKE A LOOK! Is this for real ? Are you all totally insane ? Did you even read the article? I most assure you this stuff is real, and I am opposed to it! the insanity is not in me, it is in those who perpetrate this kind of garbage. Is there a published list of ICA members? I do not know for sure, but I doubt if there is a public list. I know bunch of people, whose private lives have degenerated. Loss and devastation. On the other hand, I know people who left church whose lives did not suffer any catastrophe.